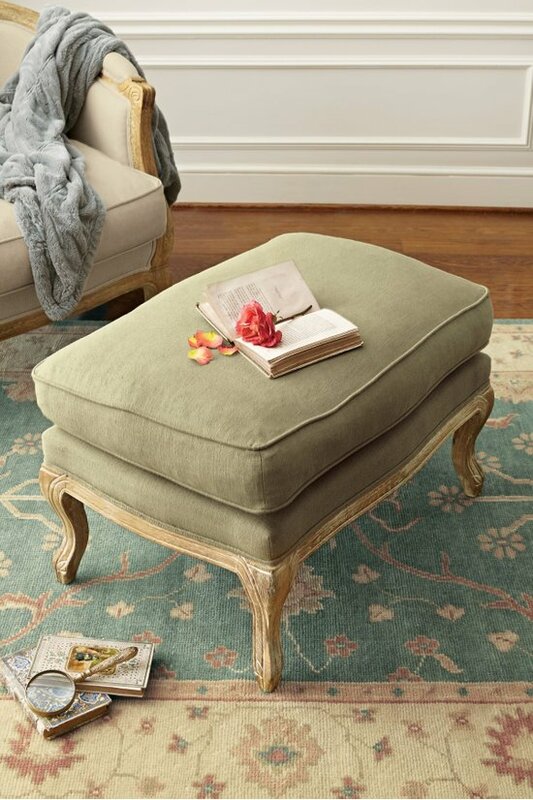 Adding luxurious comfort to our Helena Chair (sold separately), this matching ottoman is as pretty as it is practical. Upholstered in natural linen, the plushly padded, welted box cushion rests atop a beautifully hand-carved, solid oak frame with cabriole legs and a distressed limed finish. Feather-and-foam cushion. 29"w x 20"d x 19"h.
Hand-carved solid oak frame with a distressed, limed finish. Stitched-down, feather-and-foam box cushion is upholstered in linen. Designed to coordinate with our Helena Chair (sold separately). Also available in Sage Green and Lagoon Blue.